How much trading capital should you risk? 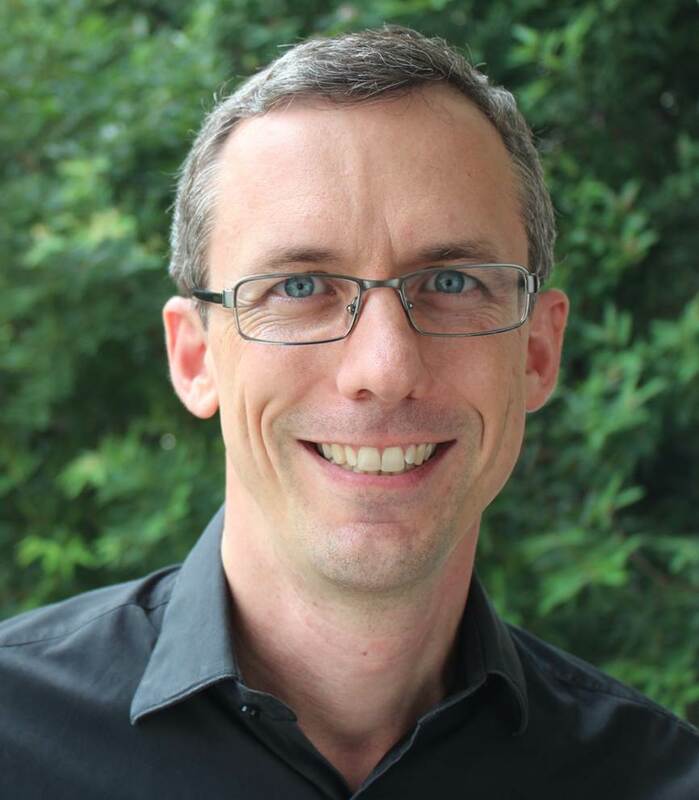 "What is the maximum amount of capital I should have at risk in the market at any one time?" The maximum amount of capital you have at risk in the market at any one time is a very important question to answer to ensure you remain comfortable with your trading plan at all times. You rightly mention the potential for a black swan event and this is a critical consideration. In my own trading plan I think about if something extreme happens (some black swan market crash for instance) and I can't get out at my stop loss levels, what is my worst case loss I am willing to take? For example if the markets had a huge gap because of some catastrophic global event. My primary trading goal is to make the maximum amount of money I can while remaining ABSOLUTELY CERTAIN that I can continue to trade no matter what happens. Your trading goals may be different to this, and you should adjust your risk tolerances accordingly. For me, being able to continue trading no matter what pretty much means that I want to ensure my worst case drawdown is less than 50% in the most extreme event. 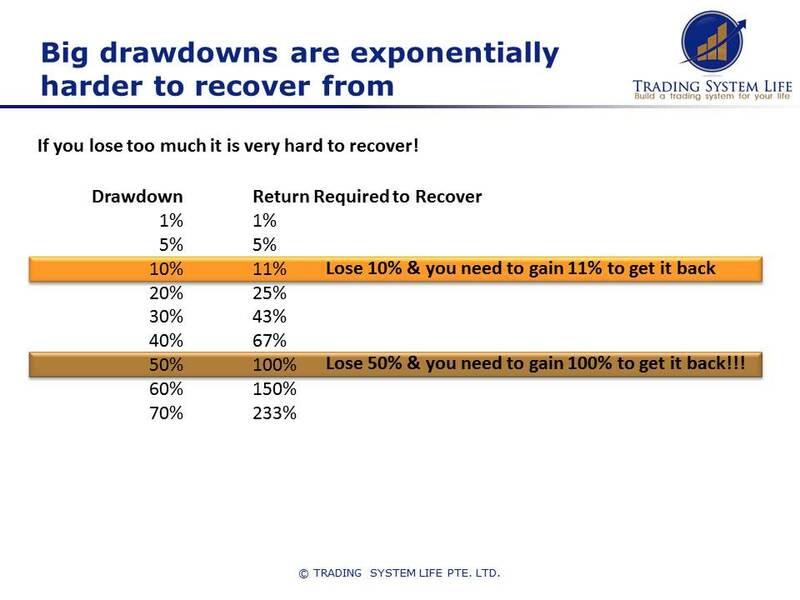 As you can see from the image below, once your drawdowns get much bigger than this it starts to become very hard to recover. 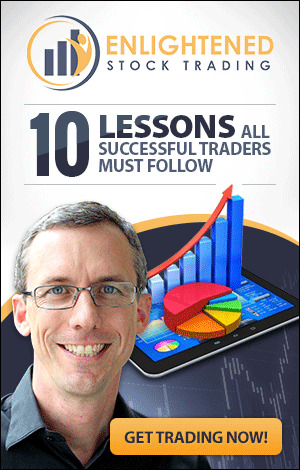 If you have a 50% drawdown then you need to make 100% (double your account) just to get back to where you were. This is a difficult position to be in psychologically and often leads traders to blow up their accounts totally because they become more aggressive trying to make back what they have lost. Just remember that in an extreme event the correlation of most risk assets goes to 1, so there is no protection mechanism better than keeping your leverage low and balancing long / short exposure if you really want to have a low worst case drawdown. I actually keep a spreadsheet with my exposures and calculate each day how much equity I would have if the entire stock market gapped down 30% and 50% just to ensure that I am comfortable with the result - this is a pretty disastrous scenario, but you just never know! My general month to month drawdown tolerance is much lower than this worst case level, because under normal conditions when your trading system is entering and exiting at sensible prices I want my equity curve to remain pretty smooth. As you learn stock trading and experience more and more different stock market conditions your trading goals will probably change. 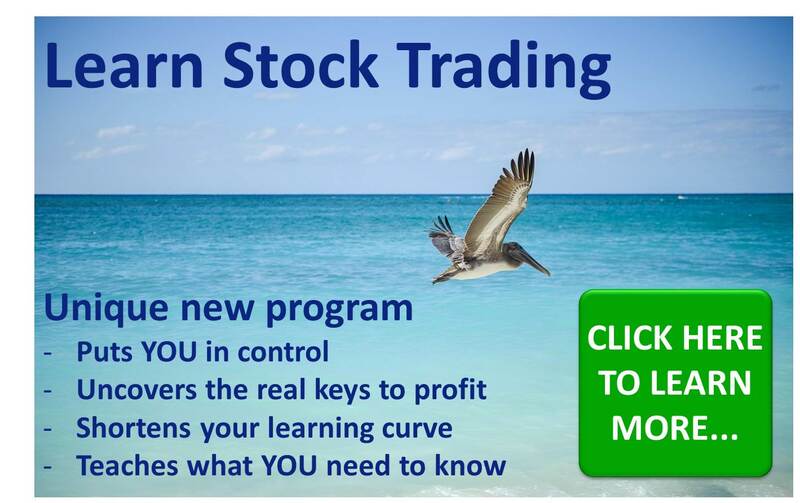 Most traders reduce their risk tolerance as they learn just how fast markets can move...you will increase your chance of survival in the stock market if you make this realisation and reduce the level of capital you have at risk right now! Return to top of How much capital should I have at risk in the stock market at any one time? Home › Learn Stock Trading › How much capital should I have at risk in the stock market at any one time?